UDA Technologies recently completed updates for 2011 RS Means Cost Data integrated with ConstructionSuite. Updated cost data from RS Means includes the latest prices for labor and materials for nearly 100,000 items and 14,000 assemblies across North America and Canada. 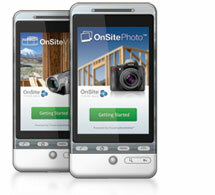 UDA is pleased to announce the expansion of OnSite Mobile Applications, now available for iPhone, iPad, BlackBerry, Android, and Samsung Galaxy. The incredibly popular mobile apps, OnSite PlanRoom, OnSite Files, OnSite Photo, and OnSite Video have now been expanded to include compatibility with Android systems, including the Samsung Galaxy and other Android Tablets. One of the many features included with the newly released ConstructionSuite 2011 OnPlan Scheduling, is Microsoft Project, Primavera, and SureTrak Import and Export capabilities. Providing integration capabilities with legacy scheduling programs such as these allow UDA's wide user base the option to integrate with solutions they may currently or have previously used. 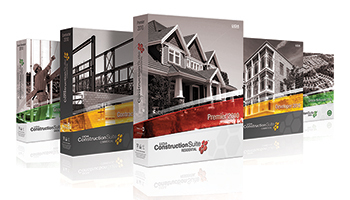 UDA Technologies, the award-winning provider of construction management software, today announced the newest version of ConstructionSuite software with major new components and hundreds of new features and enhancements. Used by tens of thousands of construction professionals worldwide, UDA construction software is the industry standard in project management software for residential builders, commercial contractors and specialty subcontractors. The next generation of construction scheduling has arrived with UDA OnPlan Project Scheduling. OnPlan is designed specifically for construction, featuring tight integration with ConstructionSuite, the industry's leading project management system. Now managing projects is made even better with clear and concise gantt charts, multiple predecessors, multiple resources with advanced resource allocation, unlimited baselines, custom holidays & workday selections, and multiple critical path views. UDA is proud to announce the release of OnPoint Document Management, a document automation and management system designed to enhance UDA ConstructionSuite's document and reporting capabilities. With OnPoint Document Management, ConstructionSuite users will enjoy faster and easier reporting, import and export PDF options, and enjoy seamless integration with ConstructionSuite.